"BR2" and "Br2" redirect here. For the 2003 film, see Battle Royale II: Requiem. For the 2007 film, see BloodRayne 2: Deliverance. For the chemical, see Bromine. 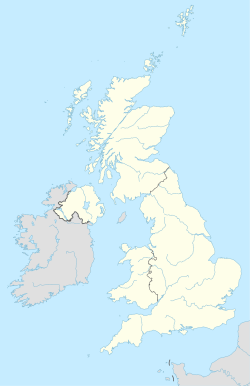 The BR postcode area, also known as the Bromley postcode area, is a group of eight postcode districts in England which are subdivisions of seven post towns. These postcode districts cover part of south-eastern Greater London, as well as a small part of north-west Kent. The main sorting office in Bromley closed in 1988 with the site becoming a Delivery Office operation only. The BR area includes much of the London Borough of Bromley, as well as small parts of the London Borough of Lewisham, the Royal Borough of Greenwich and the London Borough of Croydon. Most of BR8 and a small part of BR6 cover the northwestern part of the Kent district of Sevenoaks, while BR8 also covers the hamlet of Clement Street in the Borough of Dartford. BR postcode area map, showing postcode districts in red and post towns in grey text, with links to nearby CR, DA, SE and TN postcode areas.